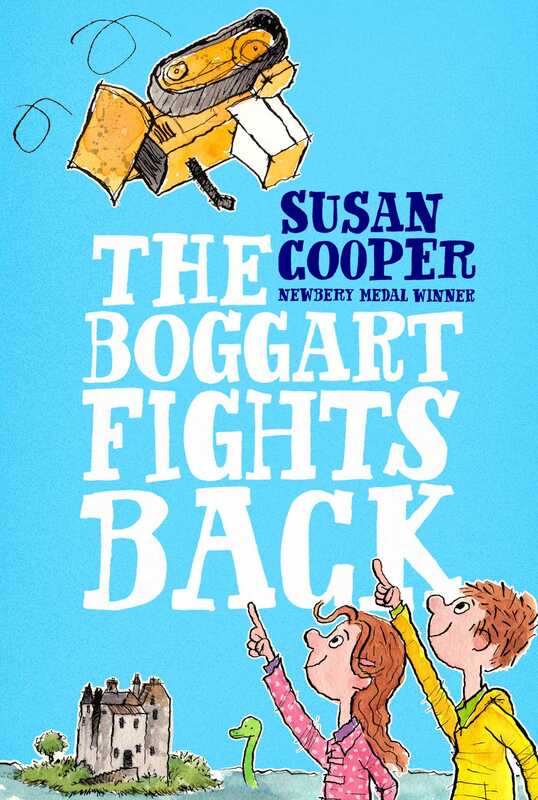 The Boggart is back for a new adventure filled with magic and mayhem from Newbery winner Susan Cooper. Out of the cold grey water of Loch Linnhe, the seals hauled themselves up onto the rocks, one by one. There they lay on the wet brown seaweed like large glistening pillows, flippers folded over their round chests, enjoying the sunshine. A herring gull swooped over them and away, watchful, keening its long mournful cry. Inland, the mountains rose grey-green on the horizon, with cloud-shadows drifting over their slopes. Smoothed by time, the land was like a great hand holding the loch peacefully in its palm—and the seals lay there happily basking in its peace. The small waves lapped at the rocks around them. And then noise broke in. Up the loch from beyond the Isle of Lismore a motorboat came roaring, headed toward the rocks, white water foaming from its bow. There were three men in it, hunched down. Banking overhead again, the herring gull saw sunlight glint on the shiny bald head of the biggest of them. Then the shiny head jerked up and there was a shout, and the roaring engine gave a louder roar as the boat and its foamy wake suddenly slowed down. One by one, the seals slipped into the water and disappeared. The boat swayed there alone. “These are called the Seal Rocks, Mr. Trout,” said the man at the helm quietly. The engine purred. The boat rocked on the echo of its own wake. Big bald Mr. Trout stood up, beaming, clutching the windshield for balance, peering at the rocks. “And they’re so close by! It’ll be a perfect side trip from the hotel, perfect—come swim with the seals, folks! We’ll give them snorkels and flippers! Guess they’ll need full wet suits too, in this place.” He gave a loud snicker. The helmsman did not smile, but the third man in the boat, younger, laughed heartily. “Great idea!” he said. “Great!” Like Trout, he was wearing a black rain jacket with a large letter T printed in yellow on its back. “Absolutely true!” said the younger man firmly, and Trout smiled at him in approval. Then he turned away from the seals, facing the loch. “And here’s our biggest selling point—the castle!” He flung out his arm in a proud sweep toward the very small island beyond the Seal Rocks. It was not much more than a rock itself, but from its grassy back rose the neat square shape of the oldest and smallest castle in all of Scotland, Castle Keep. The water of the loch lapped peacefully around its edge, and beyond it the mountains rolled green and timeless into the distance. “Perfect!” said the young man. He reached into an inside pocket for his cell phone and began taking pictures. The helmsman waited in the rocking boat, silent. The engine thrummed. The herring gull drifted high overhead, keening. “Right!” said the young man fervently. He whacked him happily on the shoulder, ignoring the fact that the shoulder led to the hand on the boat’s controls, and again the engine gave a sudden earsplitting roar. Hastily the helmsman calmed it, as the other two laughed, and the motorboat creamed away from the Seal Rocks, round the quiet unsuspecting island where Castle Keep stood. And deep at the bottom of the loch, far below, a little twirling cloud of sand puffed up into the dark water, as something stirred. Something formless and ancient, which had been sleeping peacefully there in the sandy mud for years. One of the Old Things, a creature bound by no rules but those of the Wild Magic; a creature who might well have slept on for the rest of this century, if that sudden snarl of that boat’s engine had not jolted it conscious again. The Boggart was waking up, just in time. When Allie and Jay arrive in Scotland to visit their grandfather, they are distressed to learn that a ruthless developer, William Trout, is buying up all the cherished land near Castle Keep. Mr. Trout is not concerned with preserving the beautiful loch and its rich history. He only has eyes for the luxury resort he intends to build and all the money he plans to make once it’s complete. Allie and Jay, along with their parents and Granda, know that Trout must be stopped. And they aren’t the only ones who feel this way: the shape-shifting Boggarts are awake and know that they must help protect their clan and their castle, even if it involves summoning some very powerful Old Things of Wild Magic. What will they do to stop the developers and save their home? 1. There is a conflict of interest between Trout, who sees a financial opportunity in the development of his new resort, and the people who are connected to Castle Keep and the loch. Discuss both sides of this disagreement. What are the pros for building a big resort? What are the cons? How does real estate development affect natives and the environment? 2. Trout says, “‘You can buy anything in this world if you want it enough.’” What do you think he means by this? Do you agree or disagree? 3. Discuss the differences between Sam Johnson’s and Granda’s feelings about Castle Keep. Why do you think Sam agreed to let Trout rent the castle? 4. Tom Cameron is a scientist. Does this make it more surprising that he believes in Wild Magic? Why or why not? 5. When Allie and Jay ask their dad why he’s never told them about the Boggarts, he says, “‘Would you have believed it, before you heard the Boggart’s voice?’” If someone you trusted told you about the existence of a Boggart, do you think you would believe them? 6. Why do you think the Boggarts feel such a deep connection to the Cameron family? Why are they so attached to Castle Keep and its surrounding area? 7. When Nessie suggests that they put Mr. Trout in the water along with the bulldozers, Allie says, “‘They can’t stop him by things like that, can they, and nor can we. He’s one of those people who just do what they want all the time. The only hope is to make him change his mind.’” Think of someone you know who fits this description. What do they believe in? What might you say or do to make them change their mind? 8. When Nessie presents himself to Trout as the Loch Ness Monster, he thinks he’ll scare Trout away. Instead, Trout becomes incredibly excited and overjoyed. Why does Trout have this reaction? Were you surprised by it? 9. Trout demonstrates greediness throughout the book. What are the problems with greed? How can it make you lose sight of what’s really important? 10. Granda says, “‘Most of the time we choose what we believe in . . . but sometimes it just comes to you and it says ‘Here I am.’” What does Granda mean by this? Describe your experience if this has ever happened to you. 11. The Caointeach tells Nessie, “‘I could scream my head off . . . and they’d not hear. They have little machines with screens in their hands, and things in their ears, and that’s all they listen to and see.’” What is the Caointeach saying about technology? Do you think that technology does more to enrich our lives or to distract us? Explain your answer. 12. The book tells us that “Boggarts are by nature hopeful and persistent; they have survived for so many hundreds of years because their reaction to failure is not to give up, but to try again.” Discuss the importance of perseverance. Why do you think this trait has led to the Boggarts’ immortality? 13. Allie and Jay’s mom tells them that Castle Keep was “‘home of the clan for hundreds of years, it’s soaked in pride and honor and loyalty and [Trout] can’t buy that even if he buys its walls.’” What does Emily mean by this? 14. Discuss the significance of the seals to the story. What do they symbolize, and why are they important? 15. The Cameron family is fighting fiercely to stop Trout from building his resort. Think of a time when you fought hard for something you believed in. What was it? What did you do to try and change the outcome? 16. If the Boggarts see a chance to have fun, they always choose this over everything else. Portia says, “‘Sometimes I wish I’d lived all my human life that way.’” What does Portia mean by this? Do you think it’s good to value fun over everything else? 17. 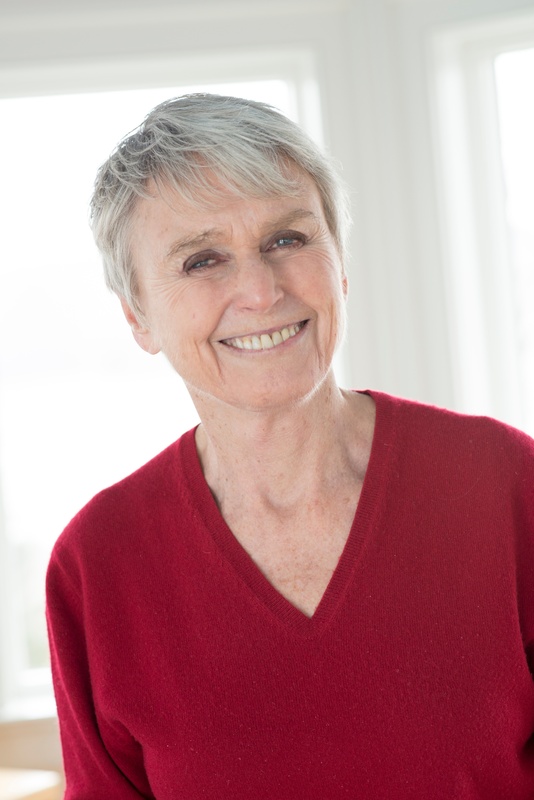 In the afterword, Susan Cooper tells us that she knows the Caointeach loves bacon and that she’s the only person who knows it; it’s “one of the special pleasures of being an author who writes fantasy.” What does she mean by this? What do you think are some other pleasures of being a fantasy writer? 1. Many Old Things of Scotland make appearances in the novel including the Loch Ness Monster, the Caointeach, the Blue Men of Minch, Each Uisge, and the Nuckelavee. Choose one of the Old Things and research its history. Write down five to seven interesting facts that you find. 2. When David MacDonald and William Trout try to cross through the Minch on the Trout Queen, they have to reply to the Blue Men’s rhymes with their own rhymes in order to pass. Write your own rhyming couplet for the Blue Men to use. Then write a rhyming response that sailors passing through might give. 3. The author gives a very detailed description of the terrifying Nuckelavee. Based on the details she gives, create a picture of what you think the Nuckelavee might look like. 4. Imagine that Trout plans to hold a big press conference about his new hotel, and the townspeople decide to hold a peaceful protest by holding up picket signs. Create a picket sign for the event using a memorable slogan and/or image. 5. Imagine what might have happened if Trout wasn’t scared off by the Nuckelavee, and instead decided to go ahead and build the resort. Rewrite the last chapter of the book to reflect the new ending. 6. Trout thinks he will receive a warmer welcome in Ireland, but he doesn’t know that the Boggarts are also heading there with the Nuckelavee. Write a short story about his arrival and time spent in Ireland. Guide prepared by Laura Swerdloff Moreno, M.S.Ed.